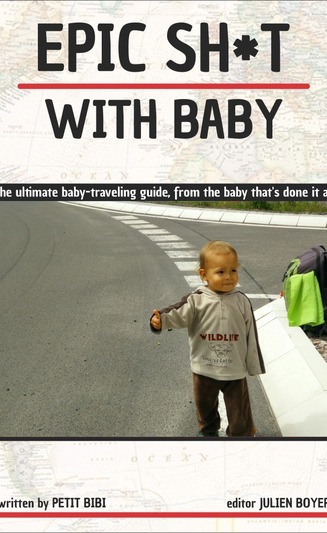 Back from a hitchhiking trip around the world with his two dumb parents, Petit Bibi, 2 years old, goes into detail about how to travel with very young children. Not a member of OpenBooks.com community? and run your own blog. Pick format best for your device. All our formats are open: DRM-free and Watermark-free. Feel free to copy the files after download and share with friends. Just remember to reward authors for their effort and talent. Use the sliders on the right to set your price. First slider shows the price that includes 30% OB share & 23% VAT (if applicable). Second shows how much goes directly to the author (70% of net revenue). Payment processing fees will be deducted proportionally from the payment amounts you indicate on your slider(s). website. This book box is 477px wide. There are no related blog posts to show. and you co-create a book loving community based on sharing and freedom of choice.